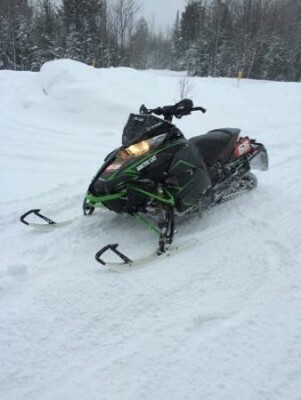 Selling my 2015 ZR6000RR Tucker Hibbert Edition snowmobile. Bought brand new in January of '15. Only has 350 miles on it. It has the special edition graphics with Fox Evol shocks on it. 129" 1 1/4" ripsaw track on it (factory track). Never been messed with, completely stock everything. Always stored inside with the cover on it. Trailerable Arctic Cat cover comes with it and a brand new bag of oil. I'm asking 9,200 or best reasonable offer. Possible trade on a rzr and rzr only.